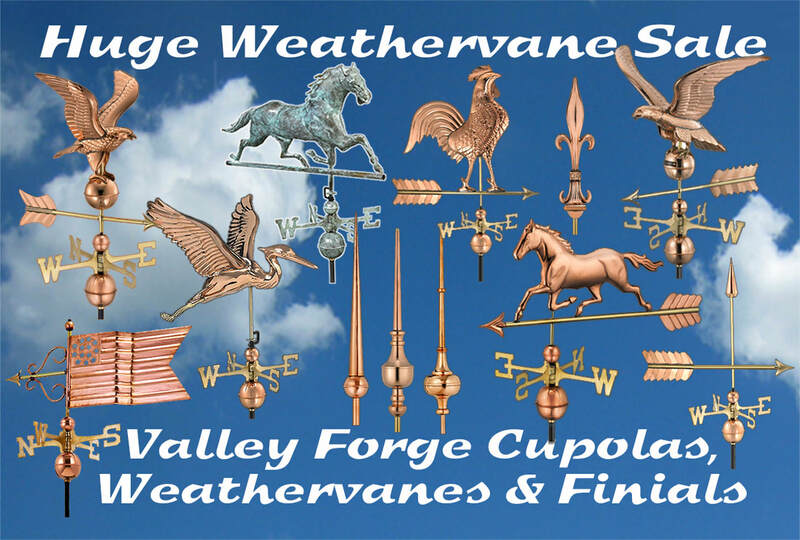 Recently we visited our cupola makers at a Cupola Show in Lancaster, PA and also at their shops. Above you can see a variety of cupola styles, colors and materials that are available. 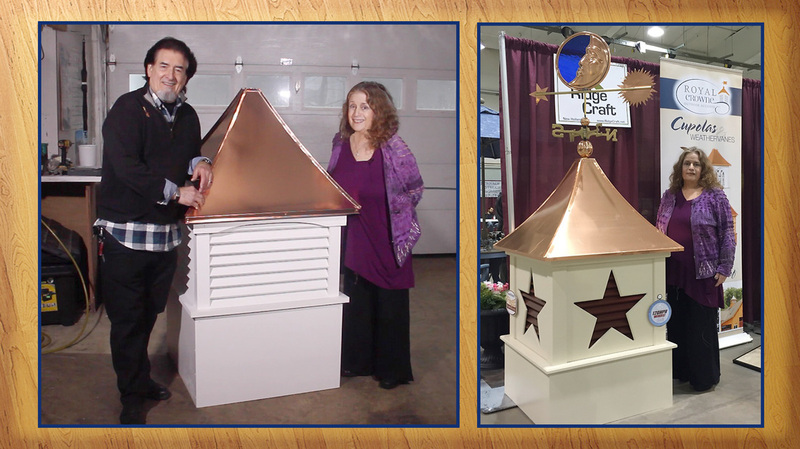 ​Below we are standing next to the 32"w x 63"h Concave with Louvers style cupola. The cupola is Vinyl with a Copper Roof. 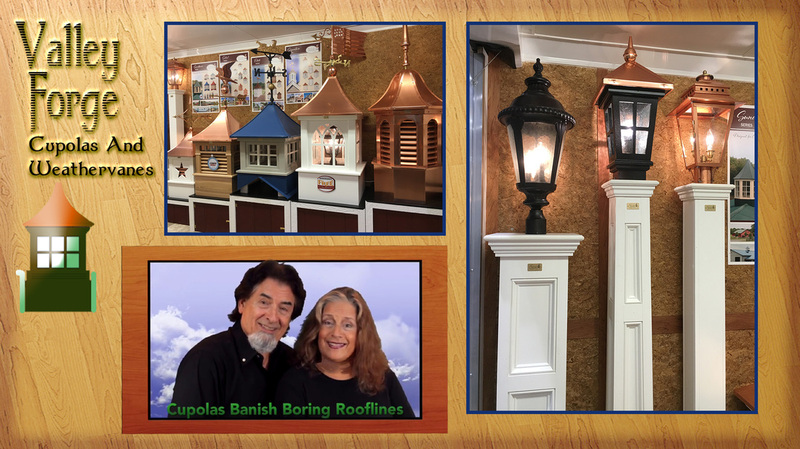 On the right below, you can see Beverly with a new cupola called the "Designer Series" that we are now offering. This new style offers a cut out Star with Colored Louvers inside of the Star. 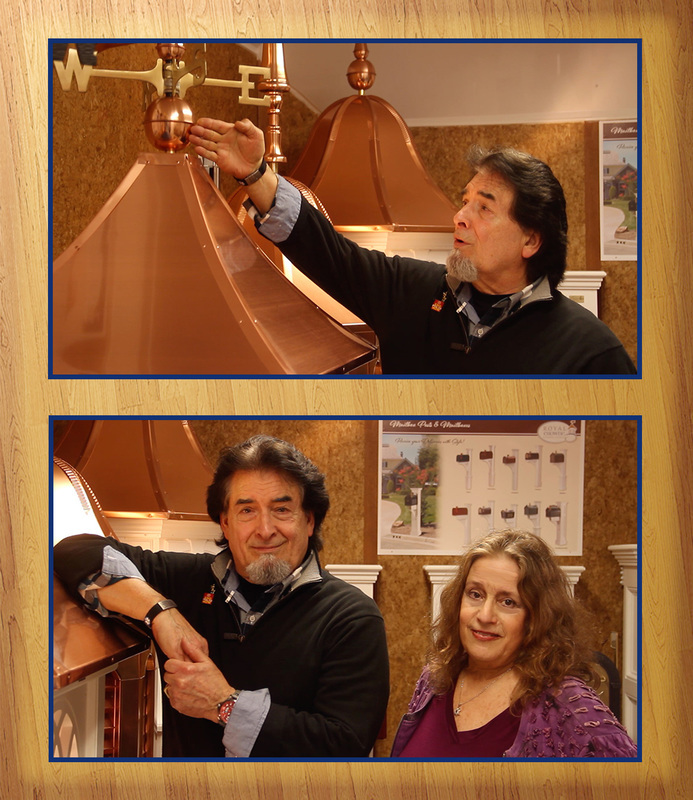 This cupola is also Vinyl with a Copper Roof. $79.00 Design Fee for us to do an architects rendering digital quote for you. ​Please send a photo of your building.